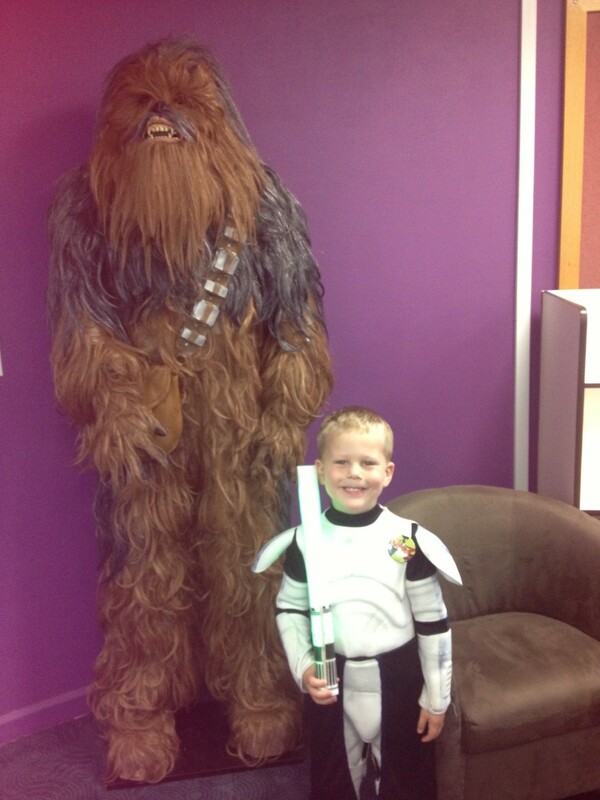 “May the Fourth” be with you …. 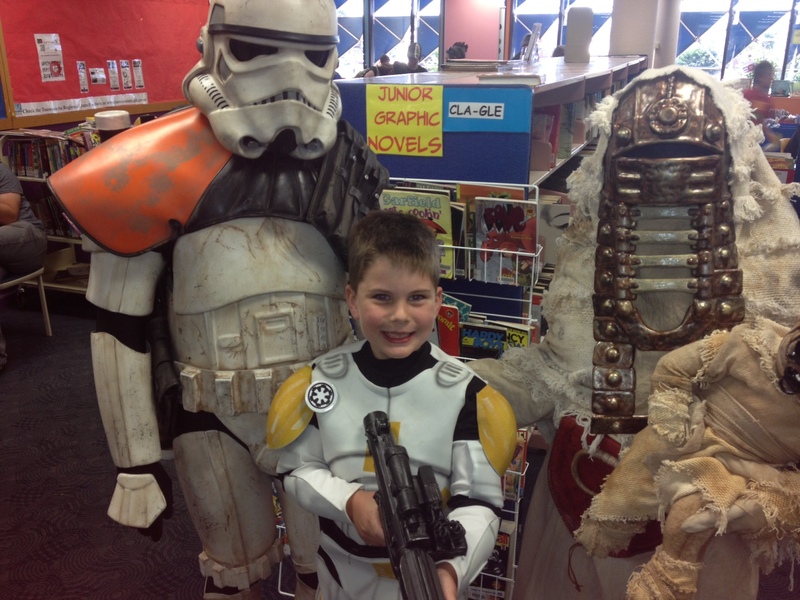 The library was filled with diehard Star Wars fans both young and old! James with the Sandstorm Trooper. Today was world Star Wars day. 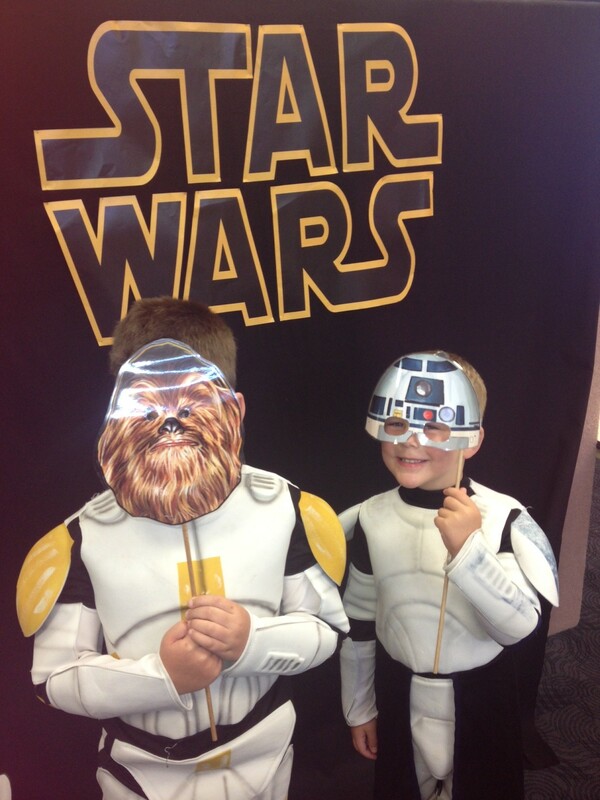 Our local library held a number of sessions throughout the day in order to celebrate all things Star Wars. James and Tom have been Star Wars fans since they were little. 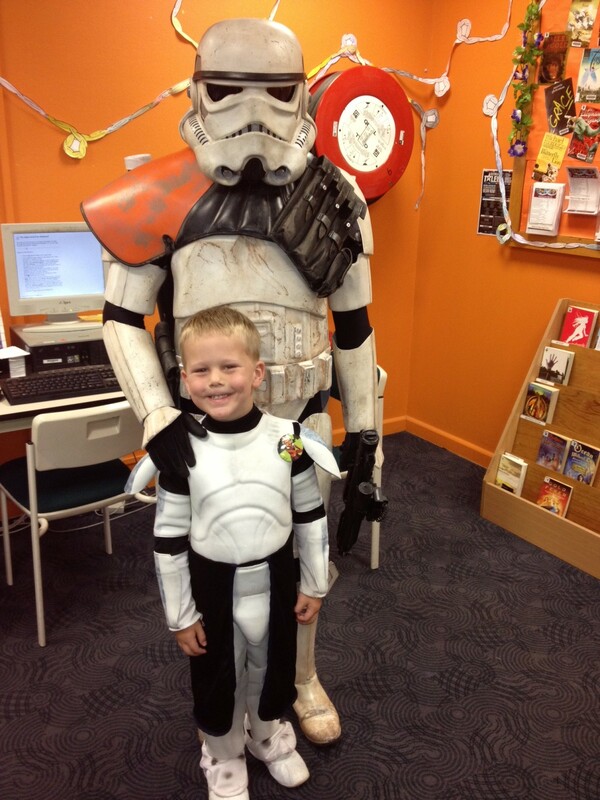 James’ favourite character is Commander Cody and Tom’s favourite is Captain Rex. These are the outfits they are wearing in the pictures from today. 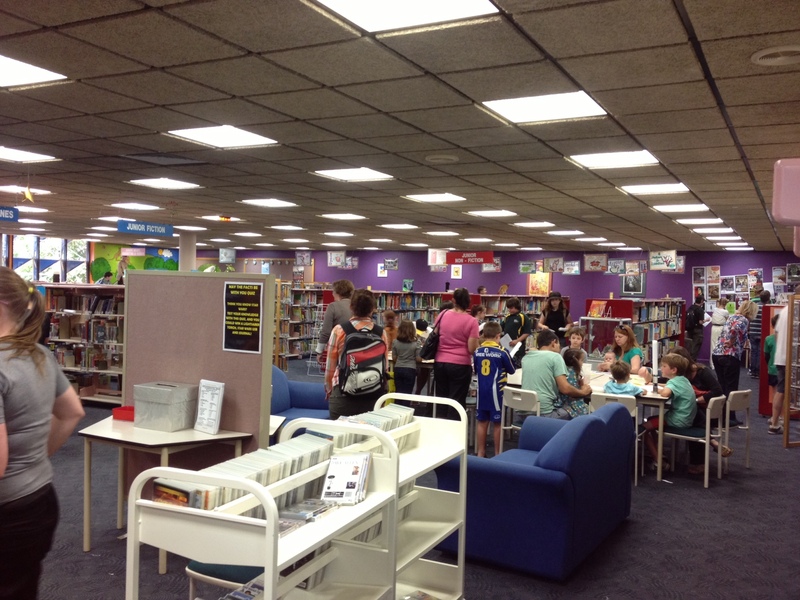 The boys both coped really well with the number of people at the library today and they joined in all the activities and fun. Tom was very wary of the costumed characters, in particularly the Sand Trooper, but in the end he gathered the nerve to be photographed with him. The boys made their own light sabres, coloured in Star Wars pictures, played Star Wars XBox Kinnect and had photos with a number of the characters. They really enjoyed themselves. James has been really persevering about getting a job over the past week. In particular, he is obsessed with getting a job at a library. I was rather concerned about going to the library today in case he thought he should be running the event! I was pleasantly surprised that he was happy to just go to the counter, meet the staff, and then sign up for his own library card. The man on the counter was beautiful with him, asking him lots of questions and telling him all about the library. James was then given his very own laminated library card. This seemed to satisfy him! Phew! Fantastic day out! And it was especially lovely to run into a number of local families involved in the Autism community.